We put warning labels on products like cigarettes and beer because of the health problems they can cause. There are even warning labels about health risks on products which aren’t meant to be consumed, such as dish-washing detergents. Yet, when it comes to foods that are proven to be dangerous for our health, there is no warning label in sight. Here are just 5 reasons why hot dogs need to carry a warning label. 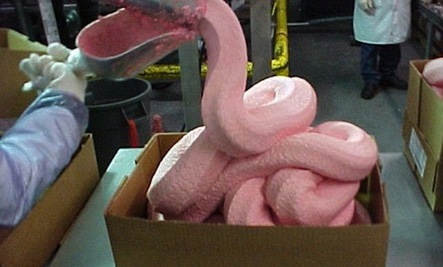 Mechanically separated meat (MSM), also known as “white slime” because of its similarity to pink slime, is the main ingredient in most brands of hot dogs. As gross as MSM sounds, the way it is made is even grosser. MSM is made by forcing animal leftovers through a sieve at high pressures. The process creates a paste-like substance which contains bone, cartilage, skin, nerves, blood vessels, and scraps of meat. Due to outbreaks of mad cow disease (which is transmitted through spinal fluid which gets into the slime), the USDA doesn’t allow beef to be made into MSM. MSM is definitely gross, but it isn’t necessarily dangerous. However, as Fooducate points out, the issue isn’t the direct health risks. It is that you will always be getting the worst meat, and it will be loaded with additives and other fats. The main issue with hot dogs and many other types of processed meat is that they contain nitrates. Now, lots of foods – including healthy veggies like carrots – contain nitrates. The problem with the nitrates in hot dogs is that they get turned into nitrosamines when combined with amines present in meat. Nitrosamines are known to cause cancer, particularly colon cancer. How bad is the risk? According to EHSO, eating a hot dog a day increases your risk of colorectal cancer by 21 percent! Studies have also shown that eating processed meat increases the risk of prostate cancer, ovarian cancer and childhood leukemia. But what about those “no nitrates added” hot dogs? Even those aren’t safe to eat. They might not have added nitrates, but they still contain naturally-occurring nitrates, which can turn into carcinogens. Heart disease is currently the leading cause of death in the United States. We already know that eating meat, particularly red meat, is linked to heart disease. When it comes to processed meats like hot dogs though, the link is even stronger. The reason that processed meat is so much worse than unprocessed meat has to do with the amount of sodium, nitrates, and other food additives that can affect the heart. A study published in the American Heart Disease journal compared the effects of eating unprocessed meat and processed meat. It found that men who ate the most processed meat had a 28 percent higher risk of heart failure than those who ate the least. For each 50 gram (about 1 small hot dog) increase in daily consumption of processed meat, the risk of heart failure increased by 8 percent. Unless you are exclusively eating organic hot dogs, there is a good chance that your hot dogs contain antibiotics. 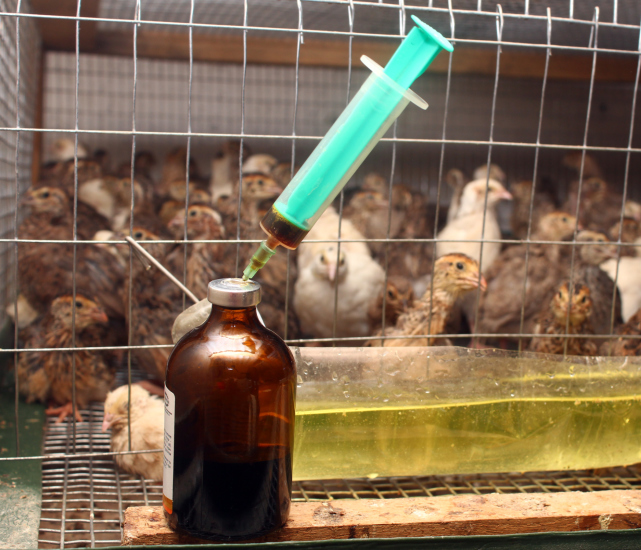 Antibiotics are given to animals in order to make them gain weight more rapidly and also to keep them healthy in deplorable factory-farm conditions. There are a lot of compelling reasons to stop using antibiotics on animals raised for food. One of the biggest reasons is that antibiotic use in livestock is causing the rise of antibiotic-resistant superbugs which could lead to a huge human health threat. There is also mounting evidence that these antibiotics cause direct health effects in humans, including making us fat. Another common ingredient you will find in hot dogs is hydrolyzed protein. If you are eating veggie hot dogs because you think they are healthier, then you’ll be disappointed to know that veggie dogs are often made out of hydrolyzed protein or similarly-bad ingredients like soy isolate or textured vegetable protein. The reason that hydrolyzed protein is so bad is because it is made with a process that involves boiling it in a vat of acid for days and then neutralizing it with lye. The process breaks down the proteins so they turn into glutamic acid, better known as MSG. So, while the hot dog label might not say MSG, hydrolyzed protein is just another sneaky name for MSG.